A sci-fi comedy about a spineless WW2 soldier who joins a group of time traveling idiots on a poorly planned mission to kill Hitler. Revisionaries is a raunchy/underground sci-fi comedy about a spineless WW2 soldier who teams up with a group of time travelers hellbent on killing Hitler. The only downside… Is that they’re all idiots, and their adventure is one non-stop disaster of another. It’s “part Heavy Metal(1981), part World War II action, part time travel comedy, with a very slight tinge of Cannibal Holocaust in the middle” (www.thatsnotcurrent.com). In Issue One, our hero Malachi Ashkenazy was captured by Nazis and saved only by the arrival of our time traveling idiots: the Revisionaries. He soon agreed to guide them to Castle Wewelsburg, where they hope to kill Hitler during a Nazi rally. 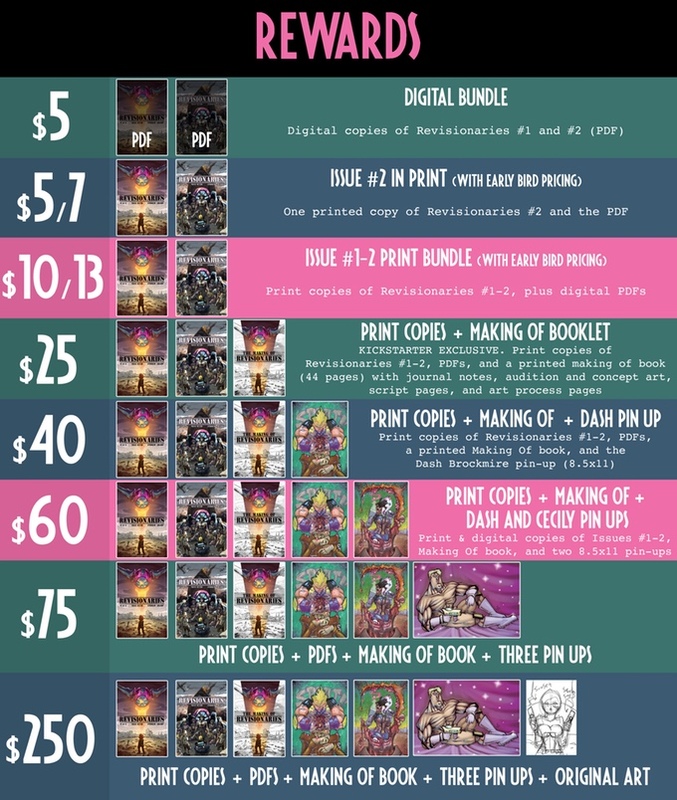 $5 gets you Digital copies of Revisionaries #1-2 delivered in non-DRM digital PDFs.